The mobile app that lets people turn their lives into comic strips started off as a joke more than 20 years ago. SAN FRANCISCO — Bitstrips may seem like a sudden sensation now that the app maker’s comic vignettes are all over Facebook and other social networks. But the Toronto start-up’s success was a drawn-out process. The concept for a mobile application that lets people turn their lives into comic strips took shape as a high school diversion more than 20 years ago. That’s when Jacob Blackstock drew a profane spoof of Charlie Brown and Lucy Van Pelt from the “Peanuts” comic strip and passed it to Shahan Panth, who sat behind him in 12th-grade English class. Even though a teacher reprimanded them for boorish behavior, a snickering Panth encouraged Blackstock to continue expressing his irreverent take on life through comics. The two friends remained in touch after high school, often relying on comics as a way to communicate and needle each other. When Panth landed his first job out of college at an insurance company, Blackstock made it a point to fax a crude comic featuring his friend each day. “I can’t even repeat some of the things that he would say in those comics, but it was about as bad as you can possibly imagine,” Panth says. Goofing off eventually turned into a business. In 2007, Blackstock and Panth decided to start Bitstrips in an attempt to create a comic-strip version of YouTube. Bitstrips remained a novelty service confined to customizing comics within Web browsers until October, when the company released a mobile application for iPhones, iPads and devices running on Android software. But Blackstock, 38, and Panth, 39, are getting the last laugh as their once-quirky pastime turns into a worldwide phenomenon. More than 30 million people in 90 countries have turned themselves into comic-book characters on Bitstrips’ mobile applications. Google, which tracks people’s interests through its widely used search engine, rated Bitstrips as the trendiest app of 2013, eclipsing the likes of Twitter’s Vine video app, Facebook’s Instagram photo app, King.com’s Candy Crush game and SnapChat’s ephemeral messaging app. “A ridiculous amount of people have been loving Bitstrips so much that many of them are sharing their comics to the point that it can be overwhelming to those that aren’t into it,” said Blackstock, who is Bitstrips’ CEO and creative director. With hopes of preventing a backlash to its application, Bitstrips recently added options that allow users to share their comics with a limited group of people instead of broadcasting through their Facebook networks or other digital hangouts. Bitstrips’ free mobile apps triggered the craze by making it easy for anyone with a smartphone or tablet computer to quickly create and post comics featuring themselves and a friend depicted in different scenarios. The apps provide thousands of comic scenes to choose from, then allows each user to create their own captions. The overwhelming response surprised Blackstock and Panth, who had to scramble to increase Bitstrips’ computing capacity to keep with the intense demand. They now have a staff of 17 workers and have raised $3 million from Horizons Ventures in Hong Kong. Horizon Ventures is run by Li Ka-shing, whose track record includes early investments in other now-popular digital services such as Facebook, Spotify and Skype. 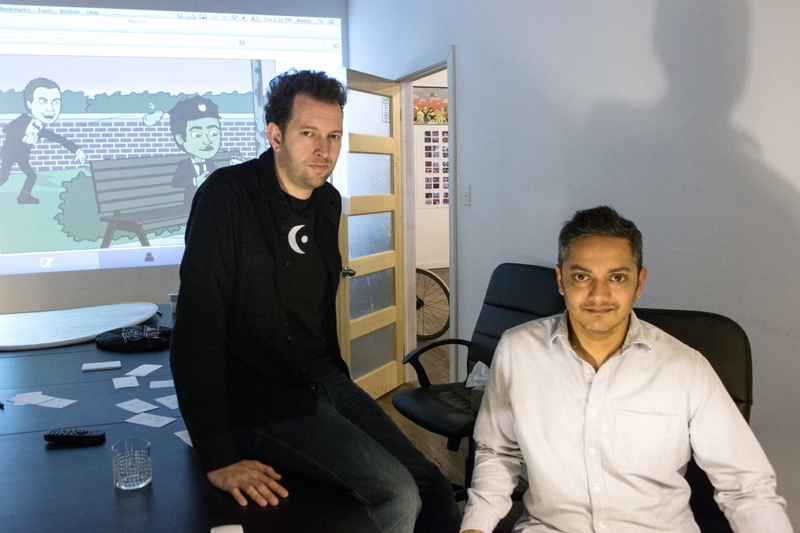 The seed money will help keep the service running until Blackstock and Panth figure out how to generate revenue from Bitstrips’ rapidly growing audience. One possibility: The company could charge users for Bitstrips extras that would allow them to do things like insert themselves into comics that also feature characters from their favorite TV shows or movies. 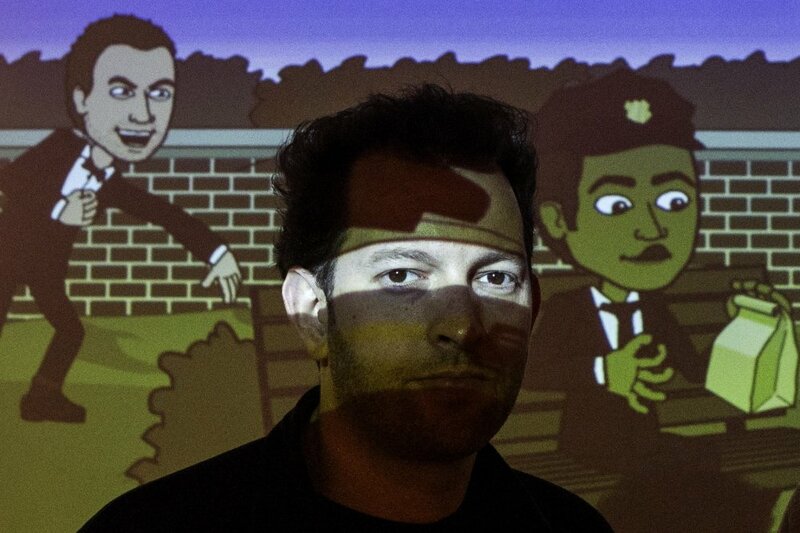 Blackstock thinks Bitstrips will prove his ideas weren’t quite as goofy as they seemed when his high school English teacher caught him drawing cheeky comics decades ago.